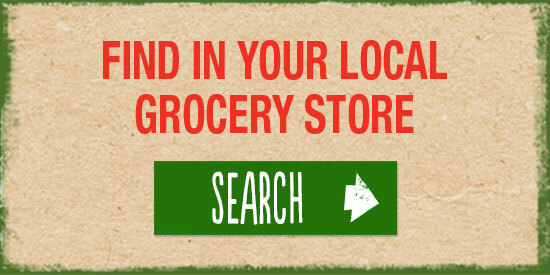 Veggie Burgers Meat Your Match! 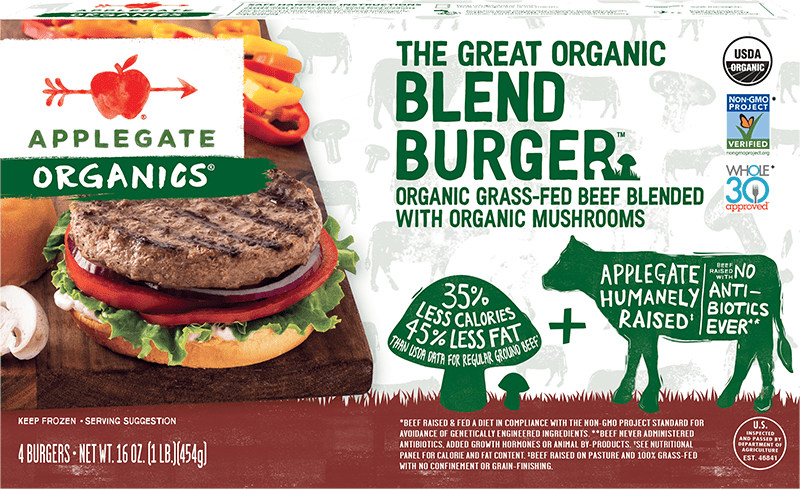 Applegate Humanely raised meat blends perfectly with organic mushrooms to deliver a juicy burger satisfying enough for ravenous carnivores AND burger lovers who want to dial up the veggies. Flex your taste buds and your choices. 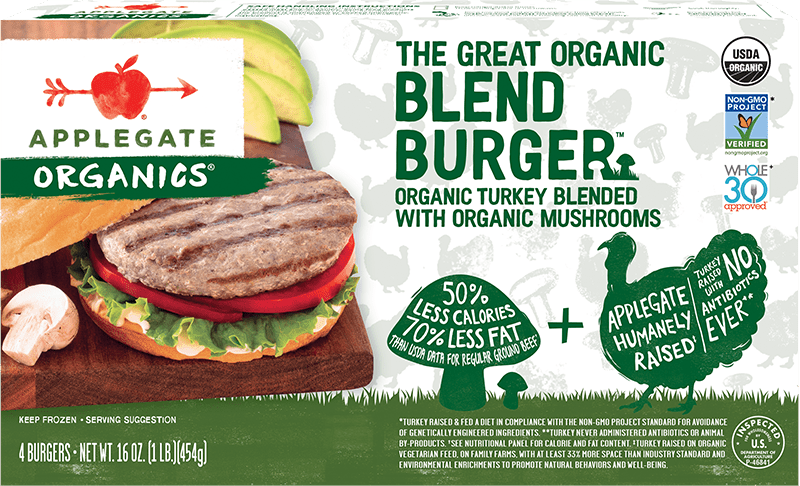 Applegate Humanely raised meat blends perfectly with organic mushrooms to deliver a juicy burger.